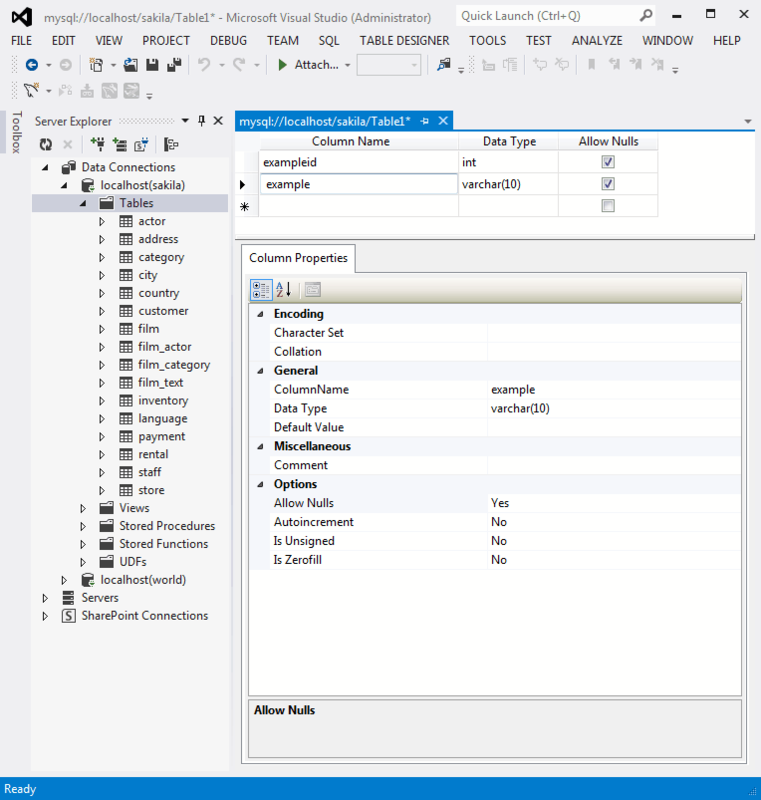 MySQL for Visual Studio contains a table editor, which enables the visual creation and modification of tables. 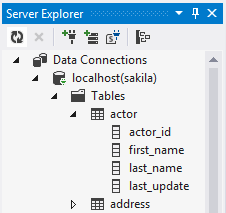 The Table Designer can be accessed through a mouse action on table-type node of Server Explorer. To create a new table, right-click the Tables node (under the connection node) and choose Create Table from the context-menu. To modify an existing table, double-click the node of the table to modify, or right-click this node and choose the Design item from the context menu. Either of the commands opens the Table Designer. Columns Editor - a data grid on top of the Table Designer. Use the Columns grid for column creation, modification, and deletion. For additional information, see Section 5.3.1, “Column Editor”. Indexes/Keys window - a window opened from the Table Designer menu to manage indexes. Relationships window - a window opened from the Table Designer menu to manage foreign keys. Column Properties panel - a panel near the bottom of the Table Designer. Use the Column Properties panel to set advanced column options. Properties window - a standard Visual Studio Properties window, where the properties of the edited table are displayed. Use the Properties window to set the table properties. To open, right-click on a table and select the Properties context-menu item. Each of these areas is discussed in more detail in subsequent sections. To save changes you have made in the Table Designer, press either Save or Save All on the Visual Studio main toolbar, or press Control + S. If you have not already named the table, you will be prompted to do so. After the table is created, you can view it in the Server Explorer. 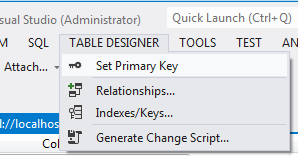 The Table Designer main menu lets you set a primary key column, edit relationships such as foreign keys, and create indexes. Tip 5.3: If you are getting an error when clicking on Design. You may need to remove current MySQL/.NET connector and install (mysql-connector-net-6.9.8.msi). This will fix that issue.